Have revenues gone up or down? What is currently being done to change or enhance the trend? Is distribution growing or shrinking? Has anything new been introduced or anyone new hired in the last three years that will dramatically improve results? Is the management team intact and will they stay on after a merger or acquisition – or do you want them to stay on? In a three-year period, every agency will see changes in revenue and profits – either an increase, decrease, or no change at all. If growth is flat, management should ask what is keeping the company from growing and why. If the agency is growing, management should continue doing what works but constantly look for improvements. If the agency is not growing as quickly as desired, the executive needs to ask why. It could be capital constraints, not enough talented managers, or time away from family. All these reasons are fixable and can be done by the executive. If production is flat, something is wrong, probably stemming from a lack of effort in trying to grow, complacency in the way things are, or the company is losing production out the back door as quickly as it is coming in. All M&A options are available to change this status and begin to grow again. Declining production is the trend most often seen in M&A cases. When production goes down, so does revenue. When revenue goes down, agency owners go into a cost saving mode, often cutting staff, services, and anything else that could help turn the problem around.Owners often do not pocket money because they are not sure what will happen to their company. These are prime prospects for acquisitions or mergers. Once a company has evaluated itself and understands its strengths and weaknesses along with production trends and needs, it is time to put a plan into action. A talent-poor company needs to hire, grow organically, or acquire or merge the talent in. Now is not the time to sit on the sideline and let time pass – that is how agencies with three to five straight years of declining production got where they are. 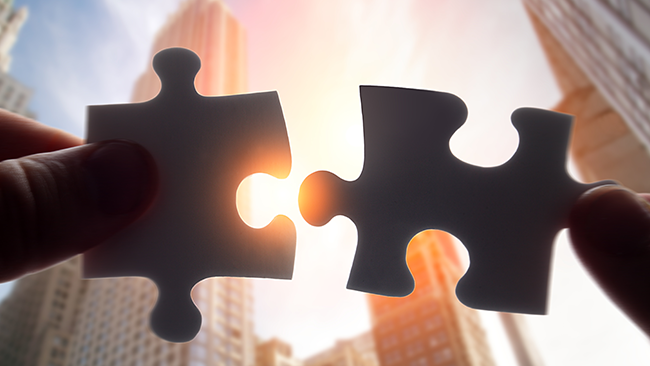 Believe it or not, probably 40 to 50 percent of agencies today would consider a merger opportunity if it were good for the owner and the company. Putting up to three agencies together and building a talent base with other entrepreneurs can be an incredible opportunity for all involved. In about 90 days, the owner could literally have notable size and scale, a talented management team, synergies in cost saving, higher productions for overrides, and a larger distribution system. If each owner has strong attributes, why not share that with more people? There are a lot of agencies today that don’t just want to sell – they have to sell! They may have built their agency over a number of years without the necessary changes. That inevitably leads to declining production without the ability to cut expenses any further. These agencies are usually very willing to talk about merging. Many of these are solid agencies with good management, but they haven’t been able to and/or haven’t been willing to make the changes necessary to keep their agency healthy. Buying or merging agencies doesn’t have to cost much. You can use shares of your own company in cases where the previous owner is going to continue working with you. And if the past owner is not going to continue working, you can create earn outs, consulting contracts, balloon payments, or they can carry the note for a certain number of years. The information provided should not be construed as an offer to buy or sell a security or any ownership interest in another organization by Partners Advantage Insurance Services, LLC. An offer to buy an insurance services company or other type of business entity is made by a formal written document following a due diligence period and review of the applicable laws of the appropriate jurisdiction.